JAI’s Sweep Series features a range of monochrome line scan cameras including 2K, 4K, and 8K models with line rates up to 200 kHz. High Performance CMOS line scan cameras offer a range of line rates, pixel sizes, and resolution. 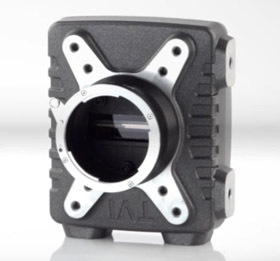 Whether it's maximum speed that you need, or the unique properties of ultra-large pixels, JAI's Sweep Series has a monochrome line scan camera to fit your requirements.